Up to 40% of the time invested in a project is spent looking for and collecting tools and materials that are in disarray; according to a statistic I just made up. Gully, is well aware of the trap of disorganization, so he keeps his tool wall in tip-top shape when he’s working on fins and handplanes. Gully is making good progress on a new batch of paneled handplanes in preparation for summer days and warmer water. The Pete Stripe Woven is named after one of our favorite Laguna Beach residents, Pete Tresselt. (Could easily be named after one of our other favorite Laguna Beach residents, Pete Suprenant.) Pete Tresselt embodies the self-taught craftsman of exceptionally high ability ideals that we aspire to. Pete lived on the North Shore during a pivotal juncture in surf history, he was a lobster fisherman off the Southern California Coast for most of his adult life, he builds phenomenal model airplanes in his garage in Laguna, where he and his wife have lived since the 60’s. We’re honored to know Pete, and to learn from his many years of wisdom and experience. I always tell customers that I don’t mind if someone buys a surfboard with the specific intent of hanging it on their wall. This may be viewed as surfboard-building blasphemy, but it is my genuine belief that a surfboard that is bought and hung on a wall now, will someday be removed from it’s position in the living room, and introduced to the Sea. Whether its this generation, or the next, the temptation will get the best of someone. That said, the subject of surfboards as art in the home is one I have some opinions about. It can be done extremely well, and it can be done very poorly. A surfboard hanging on the wall runs the risk of looking like a prop for a Hawaiian-themed birthday party, or a dorm room. As with most things, the key to using a surfboard as decoration is simplicity. It’s already a surfboard, so the statement has been clearly made. It’s far better to error on the side of subtle and understated when it comes to the look and presentation of the surfboard. Understated single color tints, with polish finishes tend to be the most palatable. There’s a lot less opportunity for it to clash if it’s only one color, rather than two. If you know me at all, you know that I largely prefer understated, muted colors. That’s my preference, but I’d rather not have a McDonald’s red and yellow surfboard in my dining room. For lack of a better example, here is a Lumberjack hanging in Coast UK, which is admittedly a store and not a home, but it looks nice. I’ve seen surfboards hanging in everything from log cabins to modern lofts, and it can certainly transcend architectural styles. 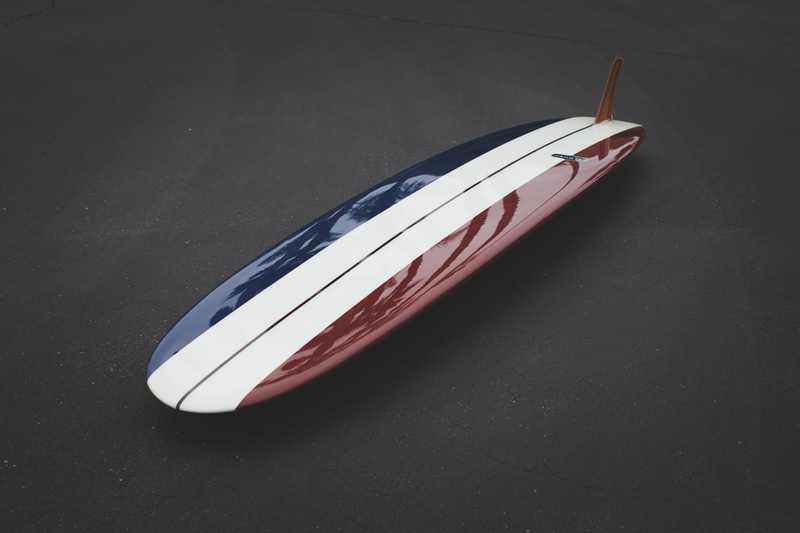 I often compare surfboards to guitars and cars, in that they have an undeniable visual appeal. It certainly speaks into your interests if you’re willing to dedicate 120″ of wall space to a $1,300 longboard. If you’re going to hang a surfboard in our home, it really should be clean and brand-new, or have an awesome story to go along with it. Either way, someone someday will probably pull it down and wax it up anyway, but that’s the nature of surfboards. Working on this collaboration with Woolrich has been the most thorough collaboration we have done, to date. There is so much history, and so many iconic images to pull from, when you start diving into their heritage. Finding the intersection of what we do, and what they have been doing since 1830, was a challenge we were eager to take on. All the way across the line, but specifically on the surfboard side, we wanted to incorporate elements of their brand in a way that felt natural, authentic and unique. 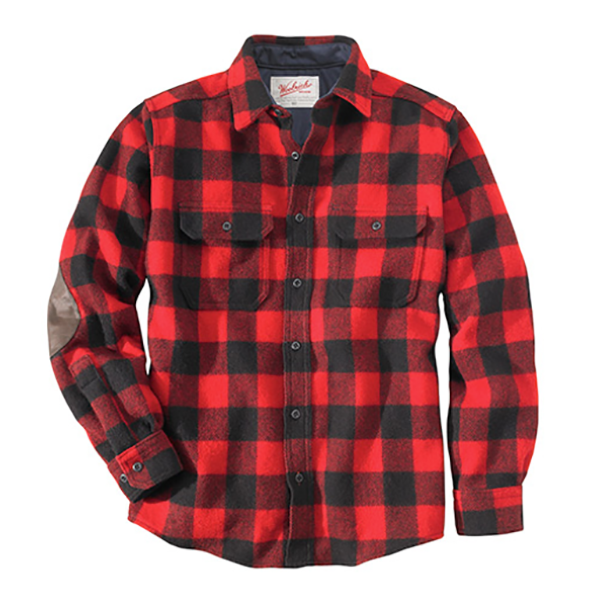 Most would agree that the red and black buffalo plaid is Woolrich’s most well-recognized pattern; and getting elements of it into the surfboards was a must for the Woolrich team. Laying heavy wool under the fiberglass, as a fabric inlay, was immediately ruled out as an option, for obvious structural reasons. We opted to enlist the help of some friends and print the black portion of the plaid directly onto fiberglass, and laminate the board using the printed cloth. Then we did a red resin tint (for more on that, read this article) to give the board some visual depth and texture. 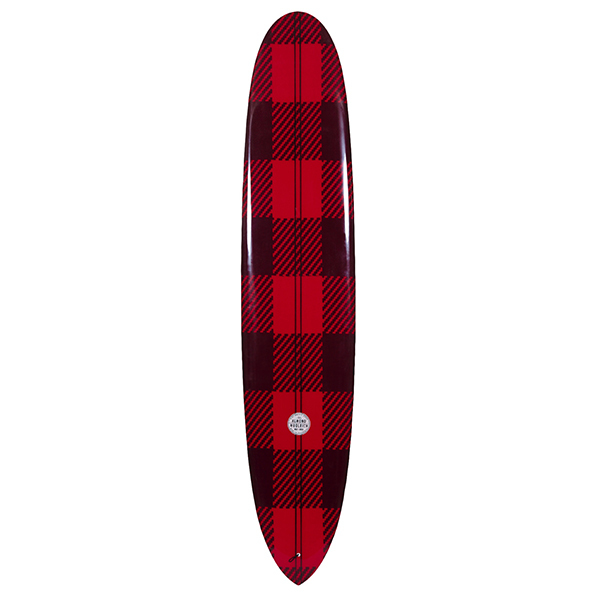 In an effort to draw back to California surfing heritage a bit, we scaled up the plaid to resemble resin panels. Long story short, this is how we landed on the 9’0 Pinwheel you see below, we just wanted to share some of the insight as to the process behind the collaboration. We are very pleased to release new SS15 product. We have been working on really focusing in on the styles and pieces that capture the brand we’re aiming to be. As always, these styles are all made in California. We just filled the racks of our retail shop with new Almond x Woolrich “Wax and Wool” product. We are thrilled to finally get to unveil some of this product. This has been an insanely rewarding project to work on. Woolrich was founded in 1830 by John Rich, and is the oldest manufacturer of outdoor clothing and blankets in the United States. It was especially intriguing to work with Woolrich, beings that they are from Pennsylvania, specialize in heavy Winter clothing, and have such a tremendously vast history as a company. Our goal was to bring some of our young enthusiasm to the table, and create products that equally represented both brands’ DNA. Huge thank you to Drew Meseck an Sam Meseroll for helping with the shoot. 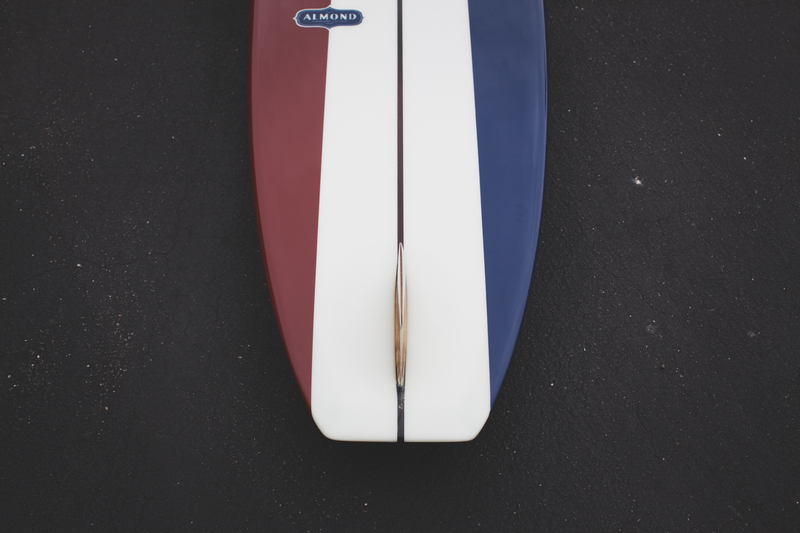 Our aim is to be the premier lifestyle brand of the Surfer+Craftsman, which means designing and manufacturing surfboards and products of exceptional quality, and delivering those products to you. We are working on new surfboard designs, and building new surfboards, continuously; and in a similar fashion, we are now releasing smaller collections of product more frequently throughout the year. Look for monthly PPR releases from Almond Surfboards, and sign up for our mailing list to be the first to know what’s in the works. The newly updated Wave Miner Henley is the first in the series of Pointedly Purposeful Periodic Product Releases. Thanks to all who came out on Saturday. Here's the full-interview we did with Pete Tresselt. Thanks to Brecht Van't Hof for the edit and North Menswear for letting us show this in Laguna. Pete has long been a huge supporter and encouragement, we're proud to be able to capture some of his stories. 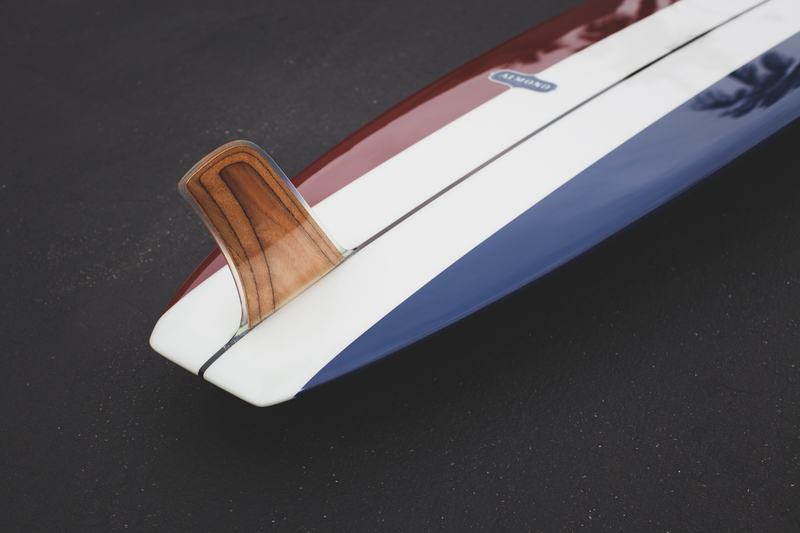 Surfer + Craftsman Interview: Pete Tresselt from Almond Surfboards on Vimeo.